The new wing of the Al Shifa (arabic for "healing") Hospital, Gaza City, occupied Palestinian territory, near completion. This will be the future home of a self sustaining transplant unit with direct access to the nephrology ward. 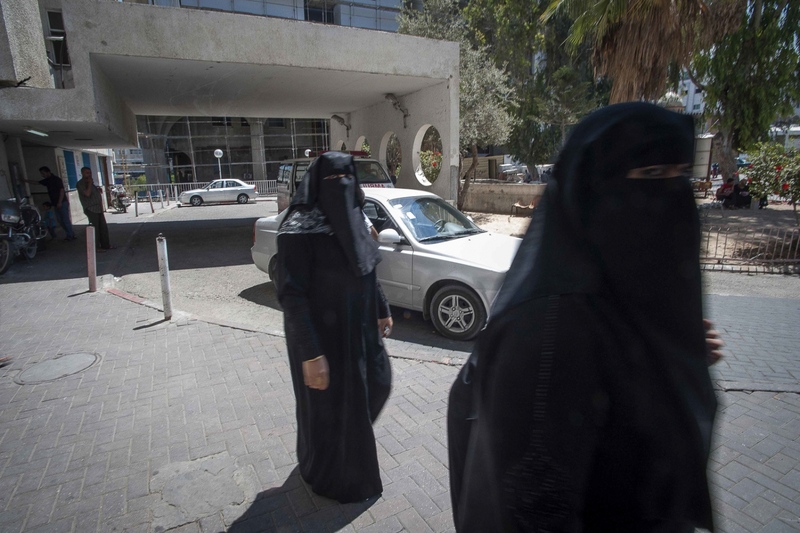 Women entering the Al Shifa (meaning healing in Arabic) Hospital in Gaza City. The Shifa was originally a British Army barracks but was transformed into a centre to treat quarantine and febrile diseases under the British Mandate of Palestine (1920-1948). During the Egyptian administration of the Gaza Strip the Al Shifa was developed into the central Hospital in Gaza and health care was expanded under directives from Egyptian President Gamal Abdel Nasser. When Israel reoccupied Gaza after the 1967 Six-Day War (Israel briefly held the area during the 1956 Suez Crisis) the entire Egyptian administration and staff in the hospital were taken prisoner. 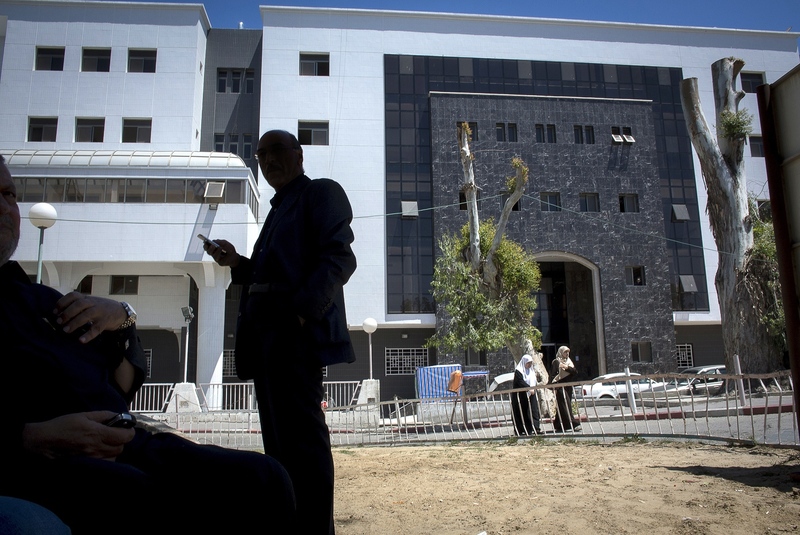 Israel expanded the Hospitals capacity and variety of treatments with the Al Shifa undergoing a major renovation during the 1980's as part of a showcase project by Israel to improve living conditions for Gaza residents. The Hospital finally passed back into Palistinian hands following the Oslow Accords signed in 1993 and is the Gaza Strips biggest public Hospital. Patients being taken into the Al Shifa Hospital in Gaza City, Gaza Strip. The Al Shifa (meaning healing in Arabic) Hospital in Gaza City. The Shifa was originally a British Army barracks but was transformed into a centre to treat quarantine and febrile diseases under the British Mandate of Palestine (1920-1948). During the Egyptian administration of the Gaza Strip the Al Shifa was developed into the central Hospital in Gaza and health care was expanded under directives from Egyptian President Gamal Abdel Nasser. When Israel reoccupied Gaza after the 1967 Six-Day War (Israel briefly held the area during the 1956 Suez Crisis) the entire Egyptian administration and staff in the hospital were taken prisoner. Israel expanded the Hospitals capacity and variety of treatments with the Al Shifa undergoing a major renovation during the 1980's as part of a showcase project by Israel to improve living conditions for Gaza residents. The Hospital finally passed back into Palistinian hands following the Oslow Accords signed in 1993 and is the Gaza Strips biggest public Hospital. Dr Abdul Hammad from the Royal Liverpool University Hospital checks his first patient in need of a kidney transplant 56 year old Mervat Khamis prior to her operation the following day. Mervat's husband 54 year old Medhot Khamis will be donating one of his Kidneys for his wife and has been tissue typed as an excellent match. 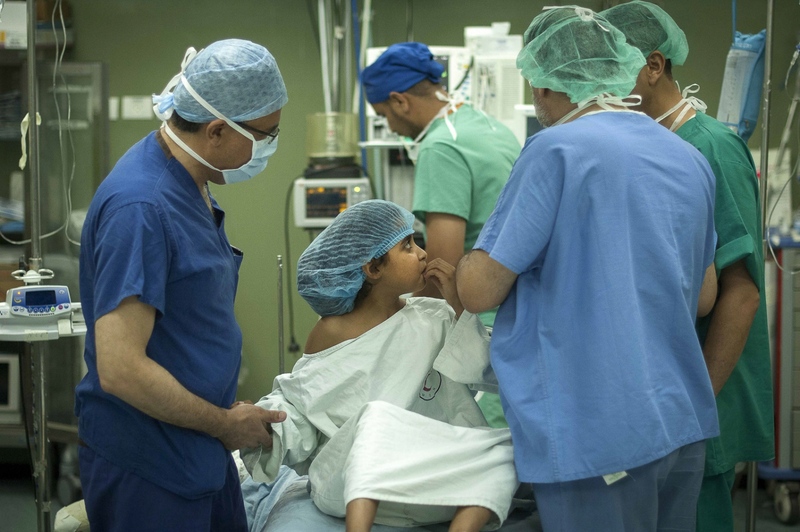 9 year old Abdel Motalib Awad is examined by British Surgeon Abdul Hammad accompanied by fellow surgeon from The Royal Liverpool University Hospital Sanjay Mehra (British/Indian dual nationality) and accompanying Gazan doctors and surgeons. Abdel caused particular concern to the Surgical team due to his young age and small size, stunted due to kidney failiure. 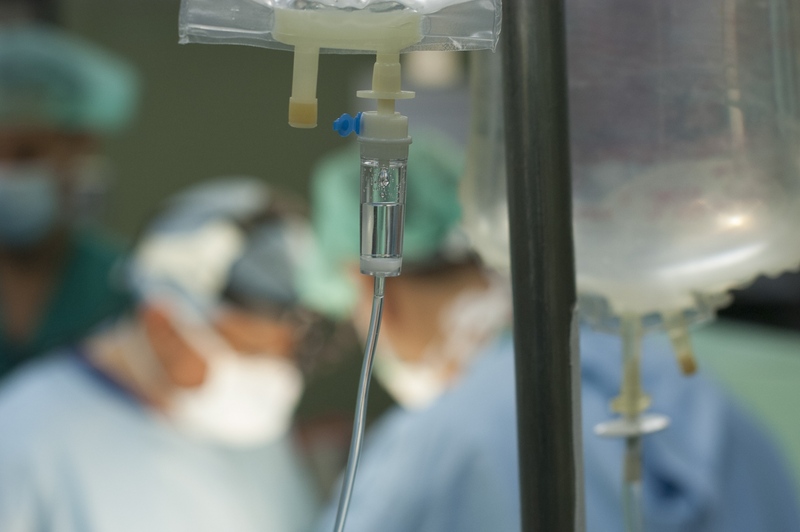 Nearly all his veins had collapsed from the dialysis treatment. The last remaining vein in his left arm was also beginning to fail as can be seen by the swelling. "If we don't operate this boy won't last another six months" stated Surgeon Abdul Hammad in conversation out of ear shot of the boy and his relatives. He will be undergoing a kidney transplant operation the next day. His mother Sharifah being the donor and best match from tissue typing tests. At the Al Shifa Hospital in Gaza City. 9 year old Fatma Othman meets the surgical team from The Royal Liverpool University Hospital for the first time prior to her kidney transplant operation the following day. Her mother Marwa is donating her kidney to her daughter. At the Al Shifa Hospital in Gaza City, occupied Palestinian territory. Surgical registrar from the Royal Liverpool University Hospital Dr Adham Al Albaki explains the procedure that will be undertaken during the kidney transplant operation to both the recipient and donor. The intention of the British Transplant Team is to replicate all the procedures they undertake in Liverpool with their Gaza patients. At The Al Shifa (meaning healing in Arabic) Hospital in Gaza City. 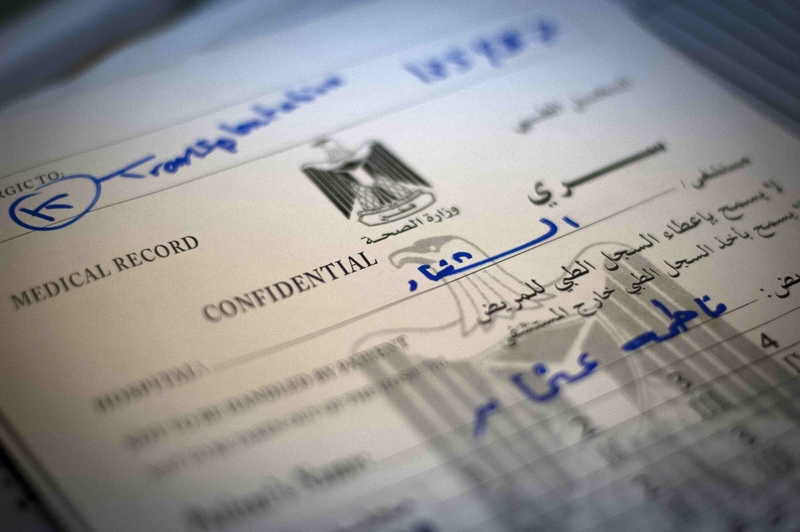 A transplant patients records in surgery at the Al Shifa Hospital, Gaza City. 9 year old Fatma Othman undergoing dialysis the night before her kidney transplant operaton at the Al Rantisi Hospital's child dialysis ward. Her mother Marwa (pictured far left with her husband Osama) is donating her kidney to her daughter. British sugeon Dr Abdul Hammad examines Fatma's X-ray and undertakes a final check on his patient. The Renal Dialysis Department of the Al Shifa Hospital. The department dispenses treatment for roughly 500 patients which kidney failure, who require dialysis 3 times per week. 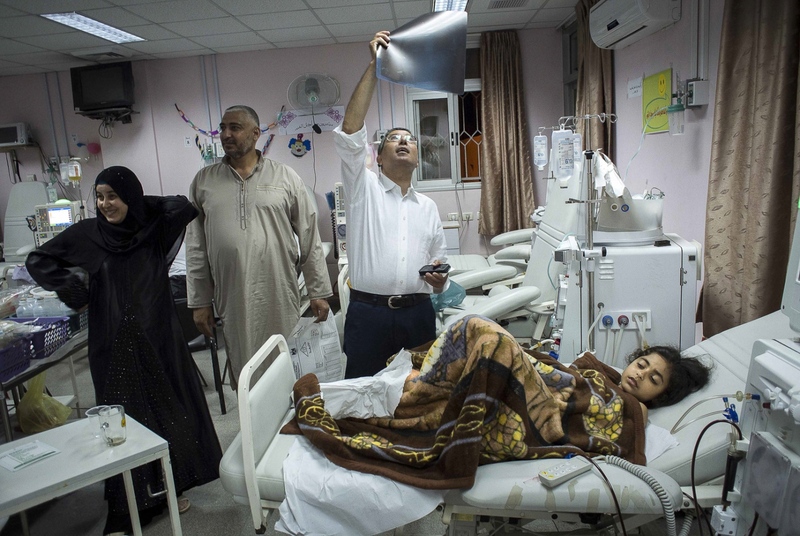 Abdel Haleem with his 8 year old daughter Marah Diab at the Al Rantisi Paediatric Hospital in Gaza City. Marah has been undergoing dialysis for 2 years and shows symptoms of stunted growth, which common in child patients with renal failure. Marah's father says: "She's top of her class at school and when she's finished here (dialysis takes approximately 3 hours) she'll return to her lessons." At the al Rantisi (childrens) Hospital in Gaza City. 9 year old Ilham Nairab awaiting kidney transplantation pictured with her mum at the Al Shifa Hospital. Her kidney was donated by her father. 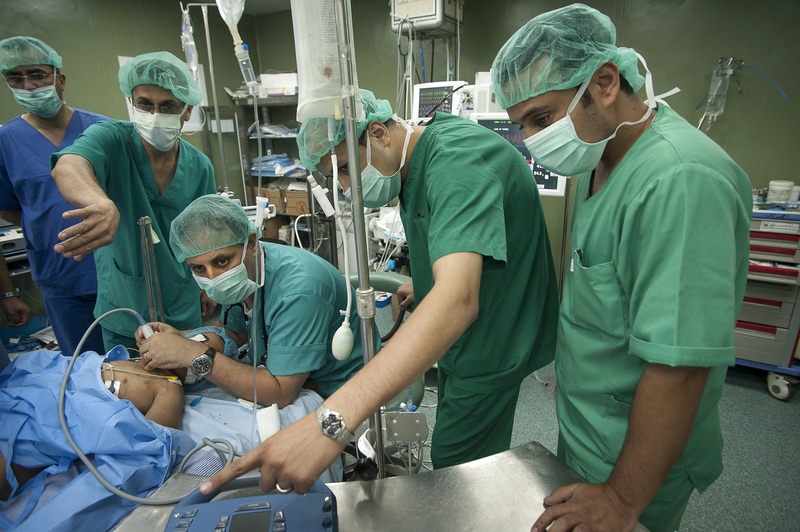 Anaesthetist at work with fellow surgeons, nurses and doctors at the Al Shifa Hospital, Gaza city, occupied Palestinian territory. 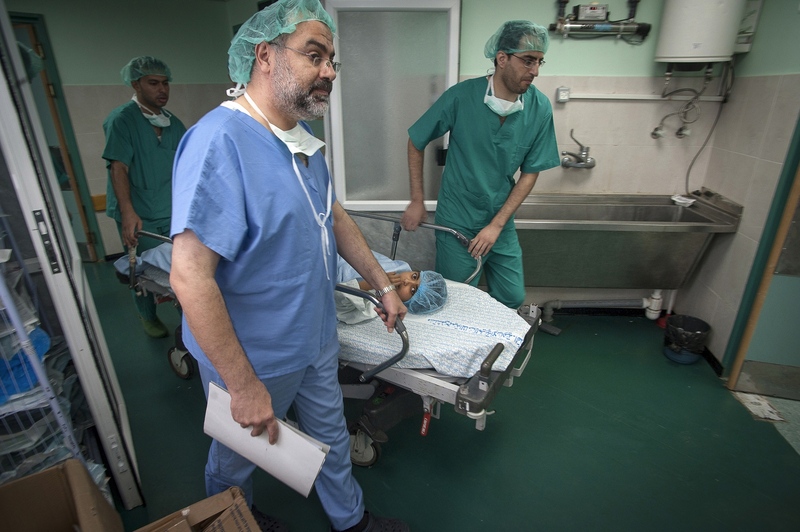 Dr Abdul Hammad scrubs up prior to entering surgery at the Al Shifa Hospital, Gaza. 9 year old Fatma Othman is wheeled into surgery to undergo kidney transplantation at the Al Shifa Hospital. 9 year old Fatma Othman in surgery awaiting anesthesia from the Al Shifa anaesthetists. Dr Abdul Hammad who will be undertaking the kidney transplant operation along with Colleague Sanjay Mehra hold Fatma's hand while she waits. Nurse Samira Murtoga from the Al Shifa Hospital and Dr Abdul Hammad from the LITI comfort 9 year old Ilham Nairab prior to her kidney transplant operation. 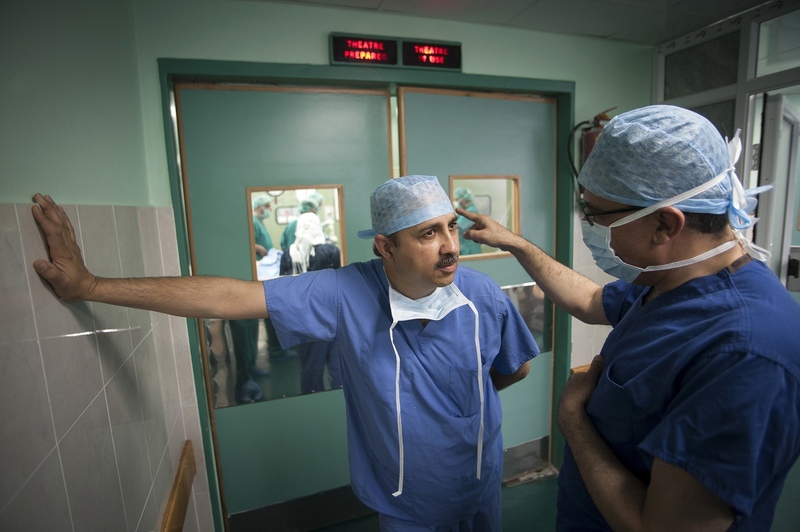 Dr Sanjay Mehra (dual British/Indian nationality) from the Royal Liverpool University Hospital in discussion with fellow surgeon from Liverpool Dr Abdul Hammad prior to starting surgery on a transplant patient. 54 year old Medhot Khamis Khalib will be donating one of his Kidneys to his wife Mervat and has been tissue typed as an excellent match. Just prior to surgery he is cared for by a nurse from the Al Shifa Hospital, Gaza City. Dr Abdul Hammad has a moment for contemplation before he starts surgery with the donated kidney. First cut. 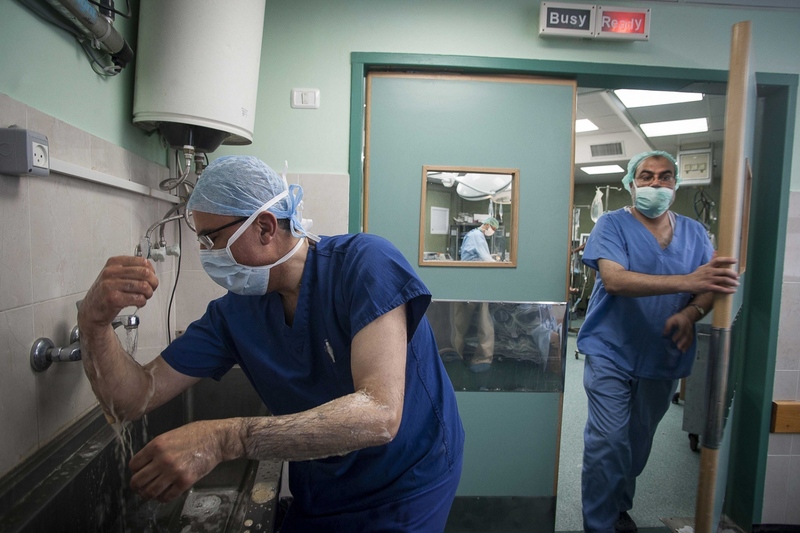 Dr Sanjay Mehra (dual British/Indian nationality) from the Royal Liverpool University Hospital starts the 'Total Retroperitoneoscopic Donor Nephreotomy' procedure to remove a donors kidney at the Al Shifa Hospital, Gaza City. 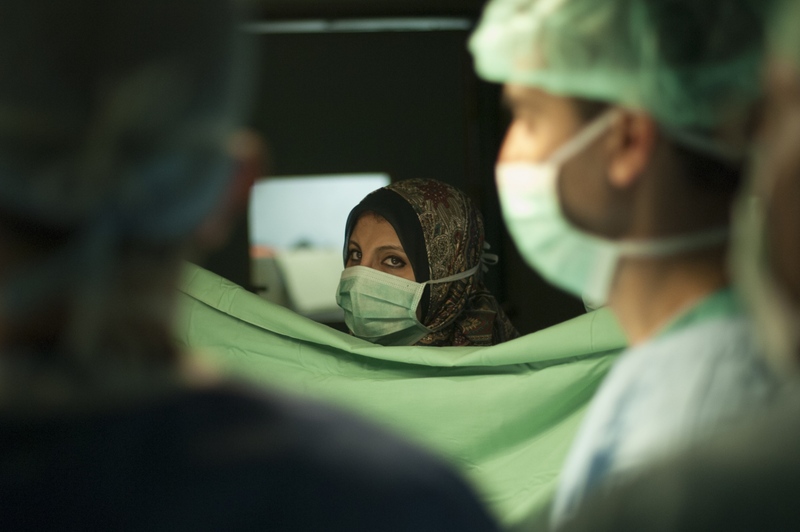 An Al Shifa nurse in attendance during the Kidney transplant. 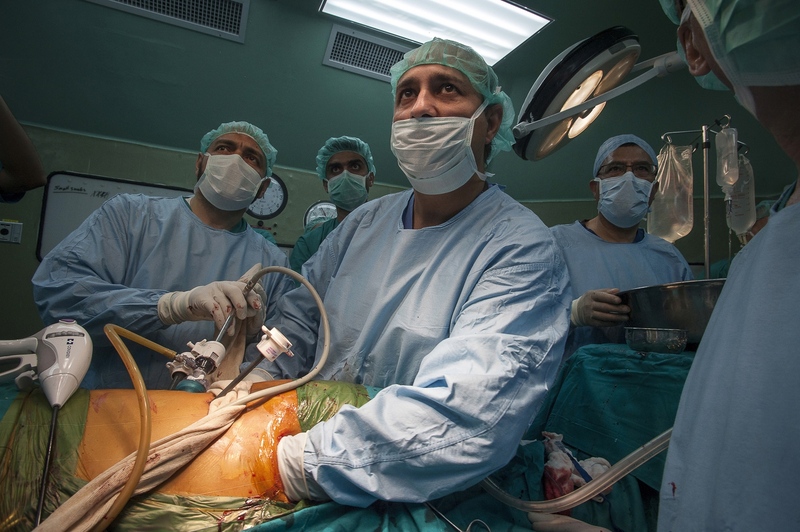 Dr Sanjay Mehra from the Royal Liverpool University Hospital using the 'Total Retroperitoneoscopic Donor Nephreotomy' procedure on a kidney donor at the Al Shifa Hospital, Gaza City. Dr Sanjay Mehra from the Royal Liverpool University Hospital finishes the "Total Retroperitoneoscopic Donor Nephreotomy" procedure at the Al Shifa Hospital. A camera and TV monitor are used to observe the kidney removal from the donor. Dr Abdul Hammad gives a thumbs up to 9 year old patient Abdel Motalib Awad following his successful surgery in the Al Shifa Hospital. Dr Abdul Hammad preparing the removed kidney and making it ready to be taken to an adjacent operating theatre to be transfered to the renal failure patient. 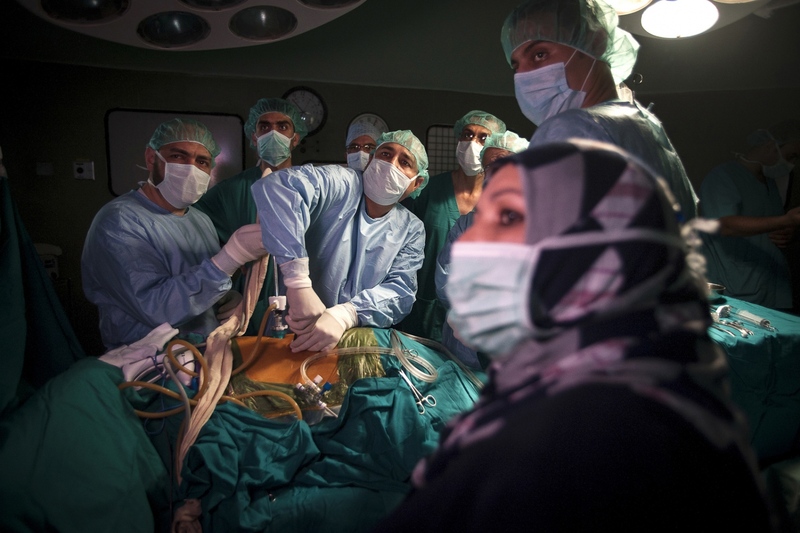 He is assisted by surgeons and nurses from the Al Shifa Hospital in Gaza City, Palestinian Territories. The Gazan surgeons intend to learn the technique of organ transplant from the Liverpool team and start to undertake the surgery themselves within Gaza. The Liverpool surgical team at work at the Al Shifa Hospital, Gaza City. Dr Abdul Hammad gets underway with surgery with the donated kidney. He is assisted by Adham Al Bakri of the Royal Liverpool and surgeons and nurses from the Al Shifa Hospital in Gaza City, Palestinian Territories. 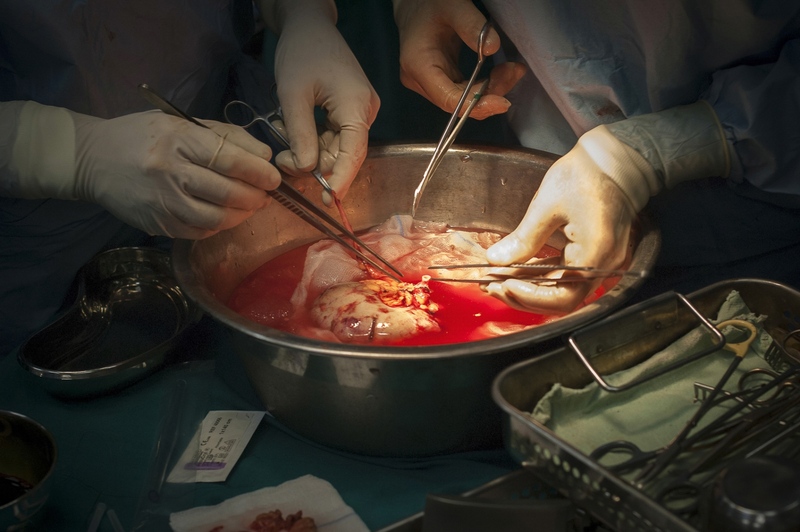 The Gazan surgeons intend to learn the technique of organ transplant from the Liverpool team and eventually start to undertake the surgery themselves within Gaza. Dr Abdul Hammad allows himself a smile after completing the organ transplant on Fatma Othman, Al Shifa Hospital, Gaza, occupied Palestinian territory. Dr Sanjay Mehra takes a rest at the Al Shifa inbertween surgical procedures. 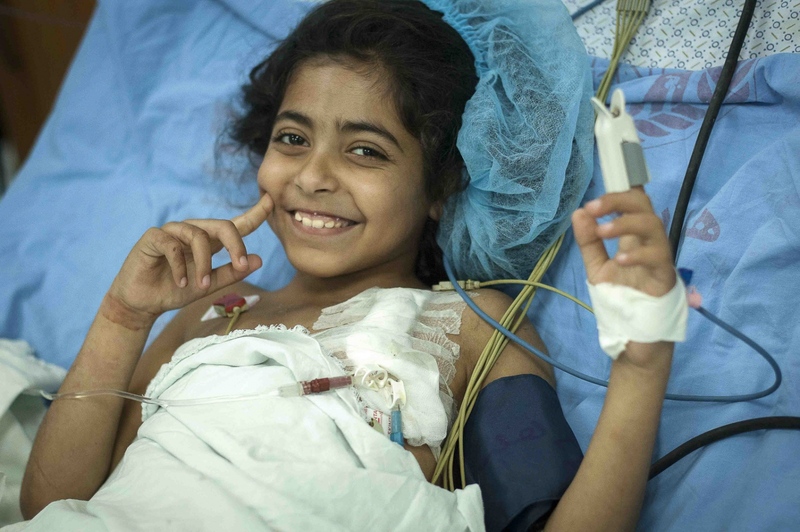 9 year old Fatma Othman several days after her successful kidney transplant operation recuperates in a ward at the Al Shifa Hospital, Gaza City, occupied Palestinian territory. Abdel Motalib Awad at home with his parents. One year on from his Kidney Transplant. 59 year old Saqr Abu Hein shakes hands with Dr Hammad six months after his successful Kidney transplant surgery. "The second car is for security" announces Dr Malik Rageila, a Palestinian fixer from the NGO "Gift of the Givers", to the team of surgeons from The Royal Liverpool University Hospitals transplant unit. Leaving the security of their airport hotel in Cairo is Dr Abdul Hammad, Dr Adham Al Bakri, Dr Sanjay Mehra and Professor Derek Middleton boarding the people carrier tasked with taking them on a fast 5-hour drive across the Sinai desert. Their destination is the Egyptian border crossing of Rafah. From there they will enter the Gaza Strip in the Palestinian Territories. The Sinai, fought over numerous times in recent history, is Egypt’s land border with Israel and the Gaza Strip. It’s not only a daunting mass of 60,000sq kilometres of sand but also the land bridge between the two giant continents of Africa and Eurasia. Once the 4km long Suez Canal Bridge is crossed at Al Qantarah El Sharqiyya the team is officially in the Sinai. The area holds a reputation of lawlessness, which is confirmed to the travelling surgeons as they pass numerous Egyptian military checkpoints draped with heavy machine guns, armoured personnel carriers and battle tanks, favoured by the Egyptian Army, aptly named "Ramses II". A series of kidnappings have recently taken place along this route, known colloquially as "Saladin's Road", a tribute to the caliph, who defeated Richard Lion Heart and ended the Crusades of the 12th century. The August 2012 Sinai Attack, where 16 Egyptian soldiers were killed by an unknown group collectively described as "militants", has further highlighted the insecure nature of this region. However, the Liverpool surgeons discuss different topics than the military situation outside their windows while travelling: "It needs to stay cooled, at all times" warns Dr Abdul Hammad, Director and Consultant Surgeon of the Royal Liverpool Hospitals transplant unit to his fellow surgeon Dr Sanjay Mehra. "I suppose I’ll have to smuggle the bloods out this time?" asks Professor Derek Middleton to his assembled audience. It’s quickly agreed by everyone that indeed this time, he will be. On finally reaching the border crossing, Dr Hammad makes a beeline to a drinks refrigerator in an adjacent cafe. This haste has nothing to do with a burning thirst he might have acquired crossing the Sinai. Since he left Liverpool Royal Hospital 36 hours earlier, he has been carrying a supply of "Campath", an immune organ rejection suppressant that is vital for the transplant mission in Gaza to be a success and should be kept cool. Professor Middleton, a plain speaking Northern Irish man, uses his time to assess the border situation for his return journey. He will be then carrying blood samples from potential organ donors in Gaza for tissue typing, testing the suitability of the donors. Blood samples, by the way, are not allowed to leave Gaza, for testing purposes the potential donor would have to travel. Dr Abdul Hammad, 57 years old and living on Merseyside, was originally born in Iraq but has been living and working as a British citizen for over 25 years. He projects the calmness and quiet sense of purpose one would expect of a leading transplant surgeon. 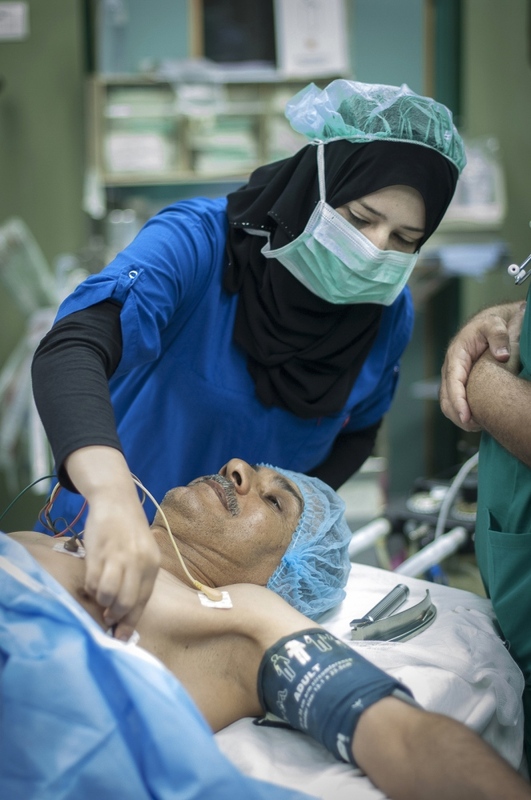 He and his colleagues intend to bring hope to the roughly 500-dialysis patients in need of a kidney transplant in the Gaza enclave, 60 of which are children. 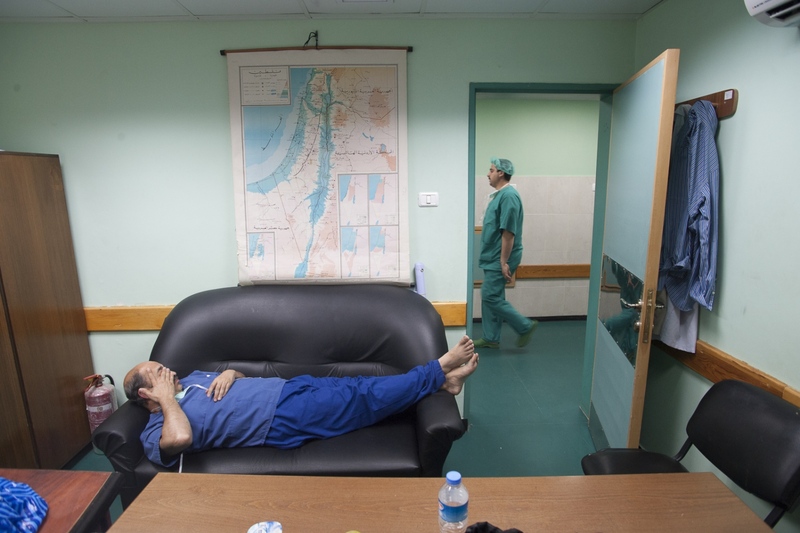 This is his third visit to Gaza and the second time he is undertaking kidney transplants. 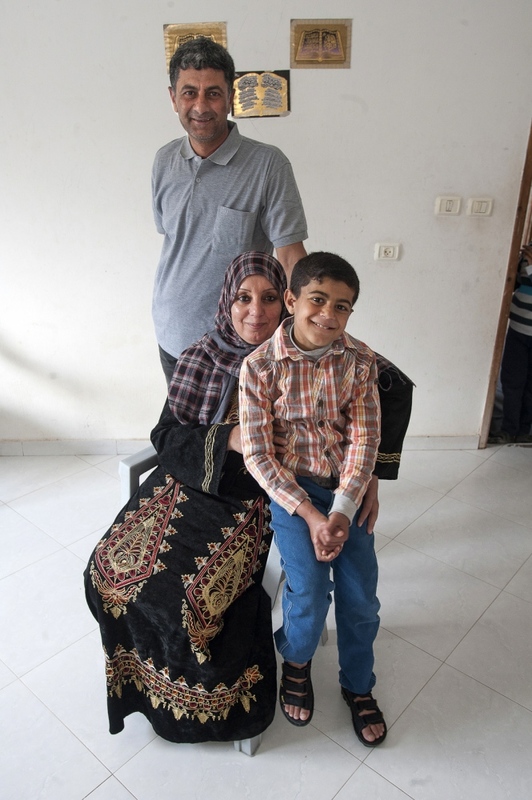 Six months earlier his team undertook the first transplant in Gaza's history. Now, children will be operated for the first time. "Five years ago, I myself was diagnosed with bowel cancer. As a doctor I knew all the statistics on my likelihood of survival", Dr Hammad explains to me when I ask him, what may have moved him to initiate this medical project. "The first thing I thought is that I won't see my two children graduate, and the second thing was the question: have I missed the opportunity to do something in my life? I went through all the chemotherapy and surgery to remove the cancer. I realised that, if I came through this, I wanted to make a bigger contribution to the world. I wanted to do more good. So, when I was approached by an anaesthetist from the Shifa I got involved", explains Dr Hammad as he walks the last few meters and crosses into Palestinian Territory. 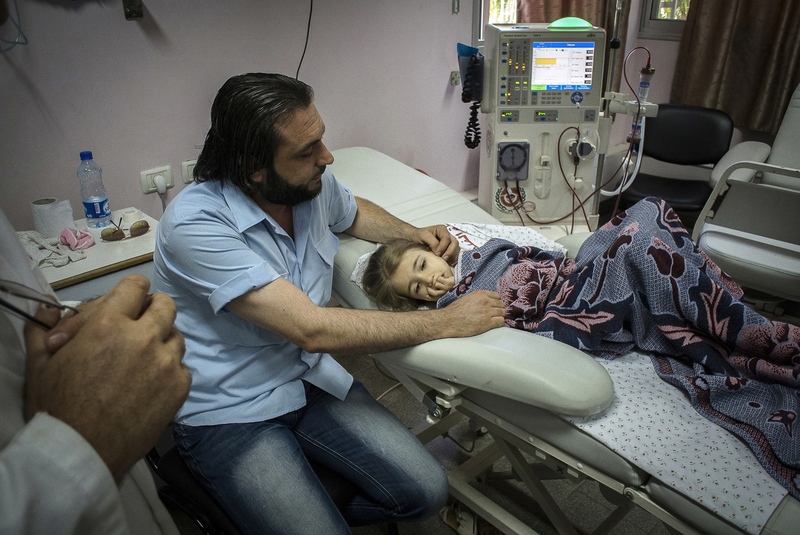 “Being on dialysis and needing a kidney transplant is debilitating enough, but here in Gaza it’s another level of suffering". Al Shifa in Gaza City is the Gaza Strips biggest public hospital, its name meaning "healing" in Arabic. One of the team's first patients on arriving is 9-year-old Abdel Motalib Awad. He suffers from the "Bartter syndrome", a genetic defect which caused him to become profoundly deaf and to have kidney failure almost from birth. 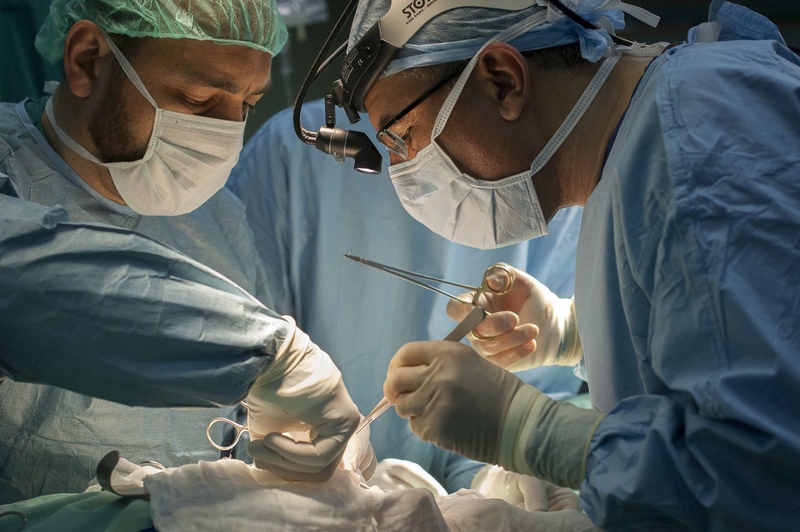 Dr Hammad and his fellow surgeon Dr Sanjay Mehra exchange concerned looks as they examine their young patient prior to surgery the following day. "If we don't operate on this little boy, he is not going to last another 6 months." Out of earshot of the boy’s family Dr Hammad says to his colleague: "Nearly all his veins have collapsed from the dialysis. There’s practically nothing left to get a line into him." The two surgeons concur that a kidney transplant is Abdel's last and only chance left. The donor kidney will come from the young boys mother Sharifah. She has been tested and confirmed to be a near perfect match – one thing, at least, in Abdel's favour. They meet their next child patient, a radiant bubbly 9-year-old girl named Fatma Othman. She sits up in bed beaming out a welcoming smile as the surgeons approach. She's been on dialysis for the last two months and confides to Dr Hammad in a half whisper that she hasn’t let any of her friends at school know that she's on dialysis and keeps it a secret! Her new kidney is being donated from her mother Marwa. A brief examination and an overview of the medical notes, and the team's preparatory work for the day is finished. Early on Sunday morning it is time for the young boy's surgery, he is brought into theatre and sedated. Abdels mother is lying next door, she has already been in surgery for several hours. Dr Sanjay Mehra and Dr Adham Albakri removed her kidney to be implanted in the body of her son by Dr Hammad. 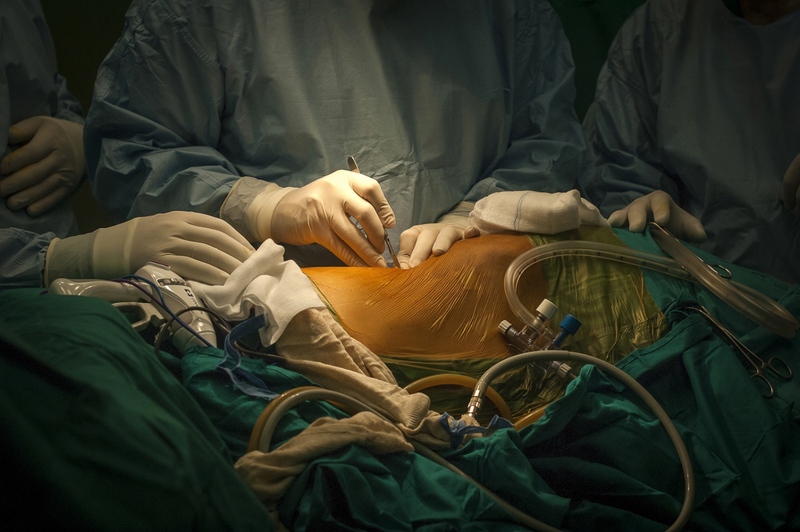 The surgeons of the Shifa Hospital, who are keen to learn the techniques and intricacies of this kind of operation, assist them. 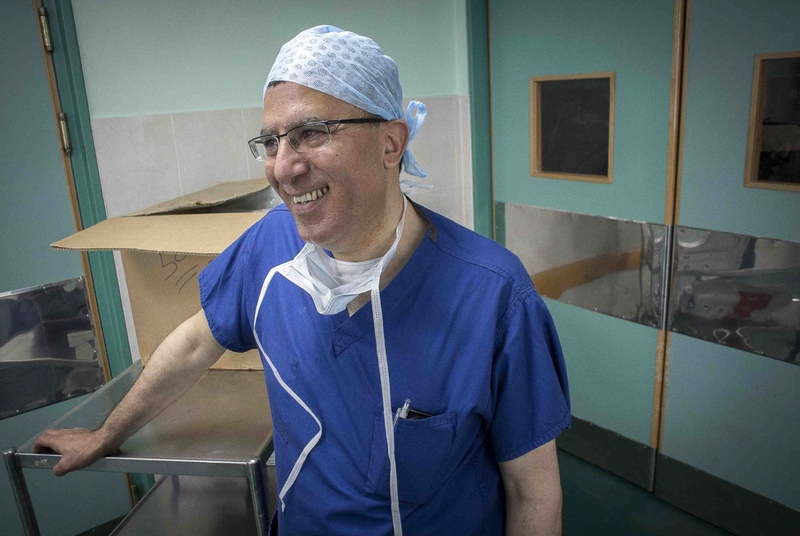 This is also the long-term aim from Dr Hammads perspective: to train local doctors and nurses in Gaza and enable them to undertake entire organ transplant operations themselves – to "go solo", as he puts it. Infrastructural support and teaching needs to be structured in the most efficient manner to aid the transplant procedures. A team from The Shifa will visit Liverpool Royal Hospital later this year in order to acquire the necessary skills. 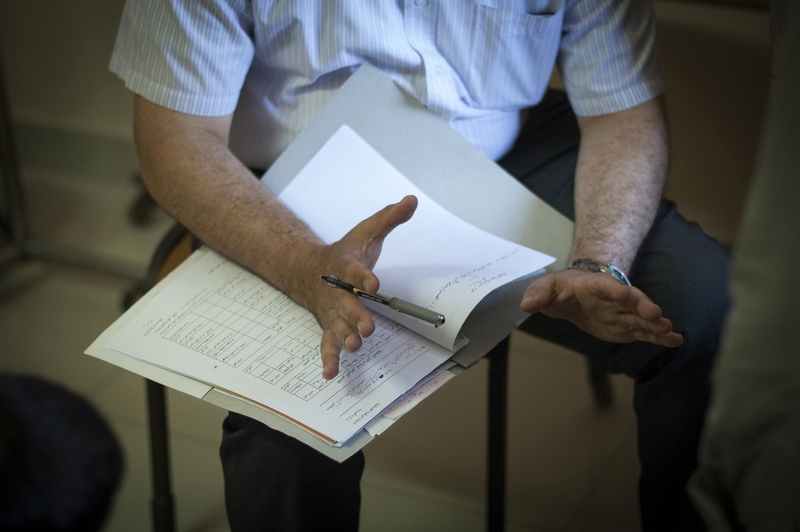 "The important thing is that we are helping them to establish a permanent Renal Transplantation Unit here in Gaza", Abdul says. Seven hours later and Abdel Awads new kidney has been successfully implanted. The sense of relief in Dr Hammads face is palpable and he allows himself a quiet smile: "This little boy is a fighter. His arm was all swollen due to the dialysis and I was worried about the outcome. It’s gone well. 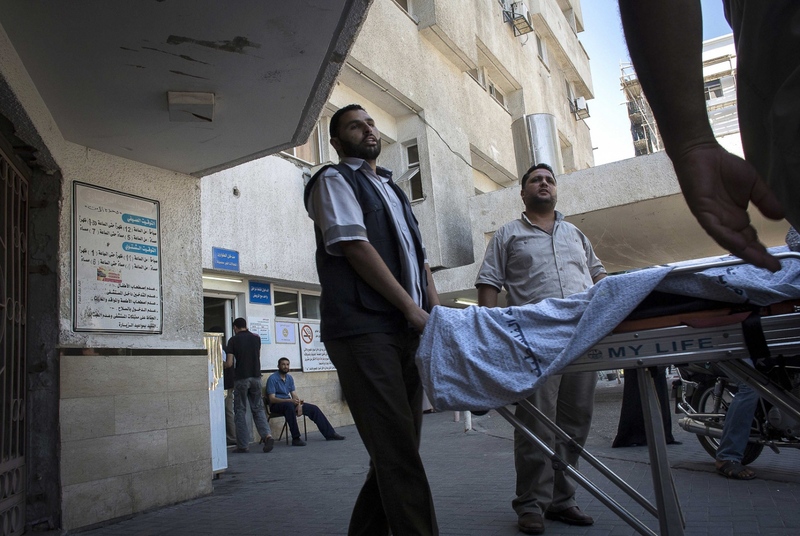 This is what we're in this profession for and this is what we're in Gaza for." The next day it's Fatma's turn. With the British team buoyed up by the success of the earlier transplantation, the atmosphere seems more relaxed. Together with the attendant anaesthetist from the Shifa Hospital Dr Hammad carefully and gently explains as Fatma sits on the operating table how she will soon be falling asleep and she can look forward to have a new kidney when she awakes. 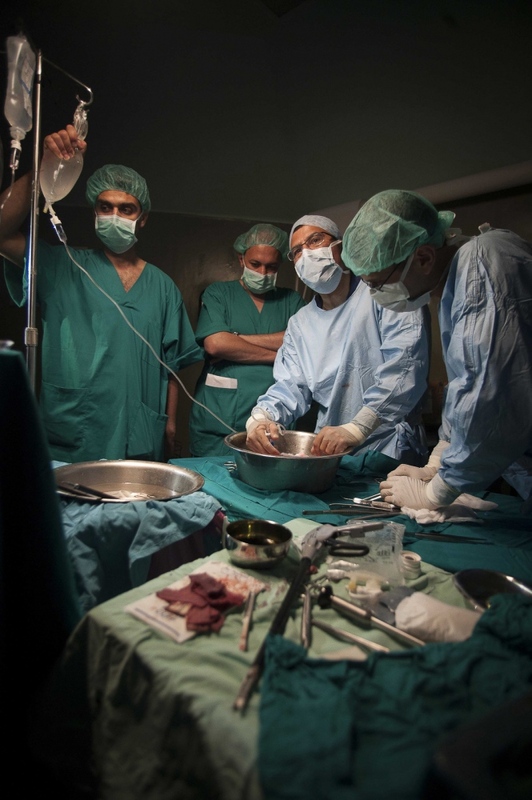 The operation progresses according to plan following the path of the first day with Dr Mehra removing the kidney from Fatma's mother and Dr Hammad implanting the organ into the little girl. Everything seems to be going well. Dr Hammad has sewn all the blood vessels leading in and out of the kidney into place and leaves the procedure of "closing up" to his colleague Dr Al Bakri. Then the electricity fails. Power cuts are a daily feature in the Gaza Strip, plaguing life here throughout the day and into the night. This however, is a disaster for anyone in surgery! But the staffs of the Shifa Hospital have become old hands at coping with the uncertainties and the near disasters of life in this troubled part of the world. The independent generators linked to the hospital immediately kick in, and while the other rooms plunge into darkness, the lights in surgery stay on. Only the air conditioning in the operating theatre fails despite everything. The British Team and their Palestinian colleagues go over the day’s events, analysing the procedures and discussing the forthcoming medical schedules. Dr Hammad makes a mental note to bring, if possible, a Paediatric Nephrologist from the Royal Liverpool on his next visit, so the concept of a child-centred form of dialysis can be introduced and implemented by the doctors in Gaza. As Abdel, the young boy with a new kidney, slowly awakes from anaesthesia in the recovery ward, his relieved father sits beside his bed. Using sign language he tells his son that everything will be all right now and that he won't need to have dialysis anymore. "My son suffered terribly with his veins from the dialysis. His whole arm had swollen up as one of his last veins started to collapse. We are so happy and my wife is so proud that she has been able to give a kidney to our son." And then he bursts out: "I want to hold a party for the dialysis department. And when my son returns home, our family will have a small party as well to celebrate!" It’s late at night now and Dr Hammad is making his rounds at the Shifa Hospital checking on his patients. When he approaches Fatma's bed she opens her eyes and beams out another broad smile at the Doctor before drifting back into sleep. 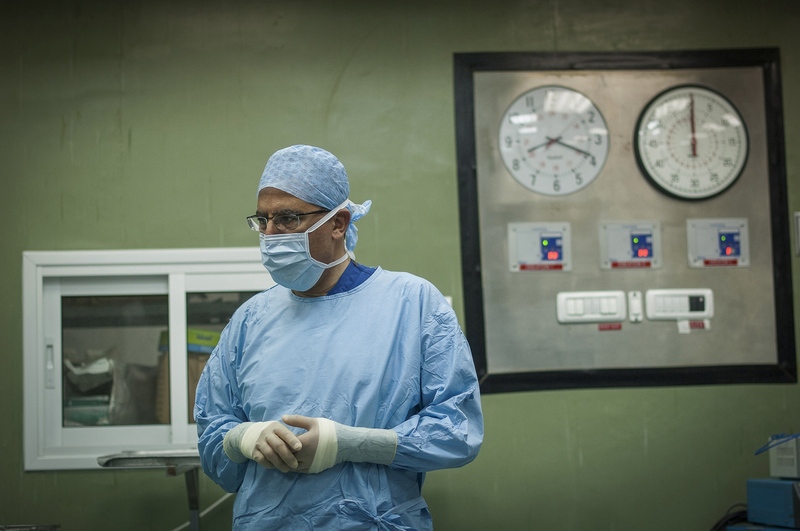 "Our work here is not political, it's humanitarian", Dr Hammad points out, "We have a 3-phase plan to establish organ transplantation here in Gaza." That corresponds with the Gaza Health Ministry's objectives. 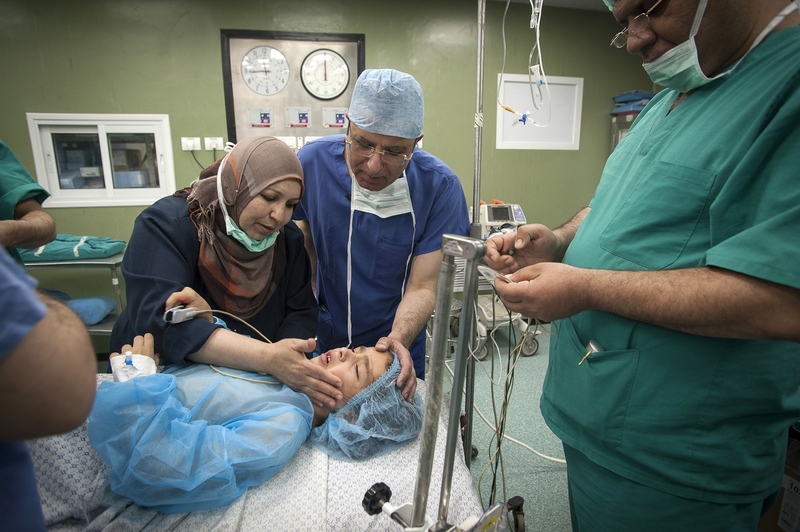 "They’re very supportive of us since they see that Gaza's future lies in its self sufficiency in this area of surgery for the benefit of it’s own population." 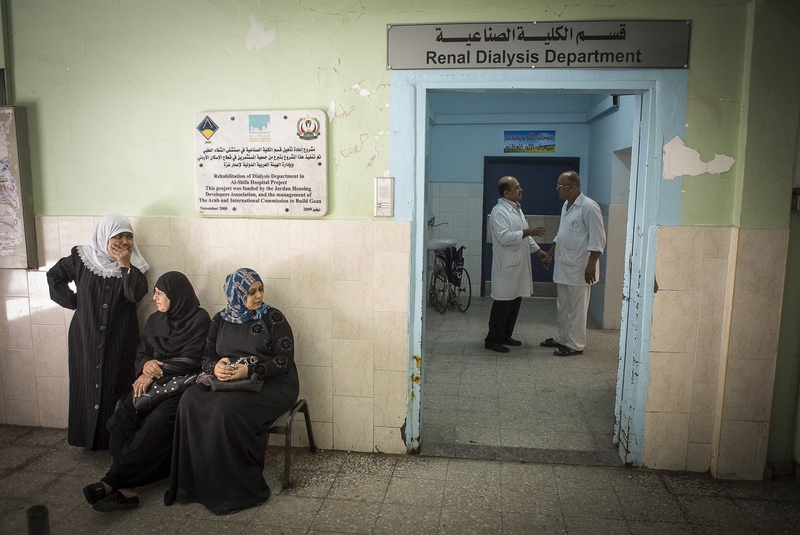 There’s one more thing to do for Dr Hammad before his 10 day working visit to Gaza can be considered a complete success: “Live Kidney Donors alone won’t be sufficient to solve the problem here. There needs to be a change in the law, so cadaver donations can be made available.” He also wants the law to reflect that the decision on "death" is a medical decision: "It should be left to the professionals." Dr Hammad approaches the Health Minister Dr Mufid al Makhalalati with this demand and requests permission to speak with the Palestinian Legislative Council, the government of the Gaza Strip. Since the 2006 election Hamas represents this part of the Palestine Territories, while Fatah controls the West Bank. It’s the day of the Council meeting. Greetings are exchanged over coffee before settling down to formal business. The session is surprisingly short. Dr Hammad addresses the assembled Council members and outlines his argument supported by the Health Minister. After some discussion and points of clarification it is agreed, indeed, that there should be no reason organs could not be donated after death (as in Saudi Arabia and Egypt fellow Muslim nations) and that the definition of death should become a medical matter.